Beattie, author of Codependent No More, Beyond Codependency, and Lessons of Love, writes with the same warmth, honesty, and compassion in this collection, helping readers chart a new path toward spiritual growth and renewal. 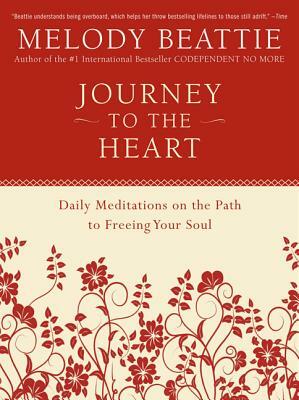 Journey to the Heart will comfort and inspire us all as we begin to discover our true purpose in the world and learn to connect even more deeply with ourselves, the creative force, and the magic and mystery in the world around and within us. Melody Beattie is the New York Times bestselling author of Codependent No More, Beyond Codependency, and The Lessons of Love.